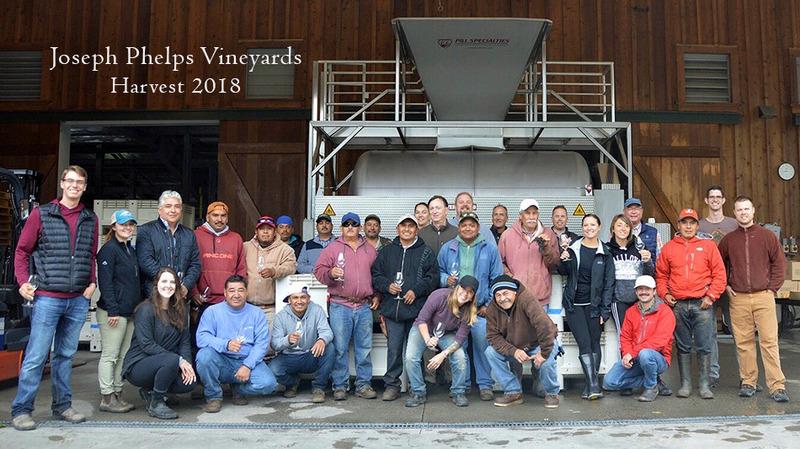 Joseph Phelps Vineyards kicked-off its 2018 Sonoma Coast harvest in the pre-dawn hours of September 4th. The winery will pick Pinot Noir and Chardonnay over the next month until completion. "The long, cool growing season is giving the fruit ample hang time for flavor development. We are seeing impeccable quality this year," said Joseph Phelps Sonoma Coast Winemaker, Justin Ennis. Photo: A harvest celebration in Freestone.